Media Unplugged: Can Netflix Become HBO Before HBO Becomes Netflix? See You at Podcast Movement This Week! Media Unplugged: Are Smartphones Killing Websites? Media Unplugged: Do Influencers Really Influence Anything? Dear FCC: What is Radio in 2018? April 11-16: NAB Show, Las Vegas. June 4-5: Hivio, Los Angeles. September 30-October 2: NAB Radio Show, Atlanta. February 13, 2016: UNESCO World Radio Day. March 13-15, 2015: Radiodays Europe 2016, Paris. At the Radio Intelligence seminar during Radiodays Europe 2011, Z100′s PD Sharon Dastur revealed the changes in the station’s marketing and imaging tactics following Arbitron’s move to PPM. 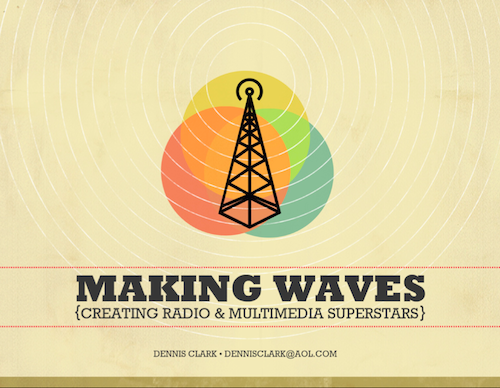 Dennis Clark – the producer of 102.7 KIIS FM Los Angeles morning show On Air with Ryan Secrest and consultant for leading morning shows around the world – has some deep insights on how to take your morning show to the next level. Download a PDF presentation here.